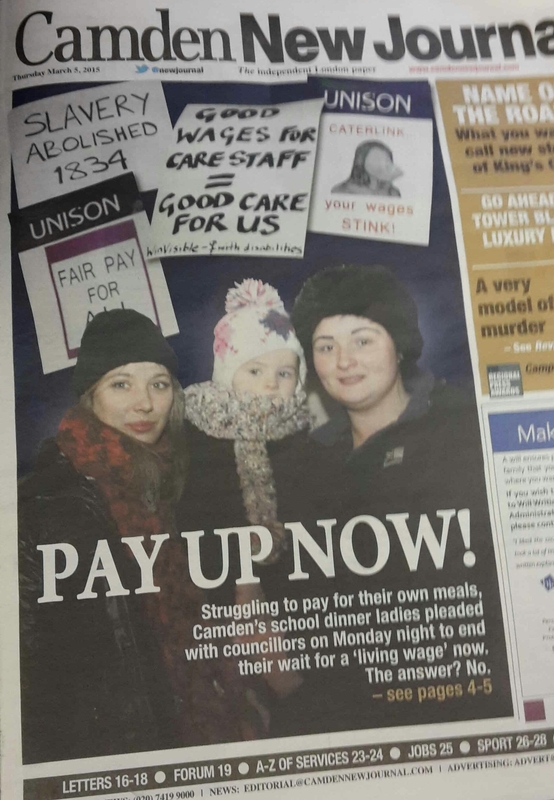 Camden UNISON’s lobby of the council on Monday for the living wage of around 60 residential care worker and Caterlink school meals worker members got front-page coverage in the Camden New Journal, as well as detailed reporting within. Reel News also made a short film about the demonstration and the campaigns, which you can see below. This entry was posted in Uncategorized and tagged care workers, Caterlink, demonstrations, elderly, LB Camden, living wage, pay, Shaw, Supporting People, video. Bookmark the permalink.